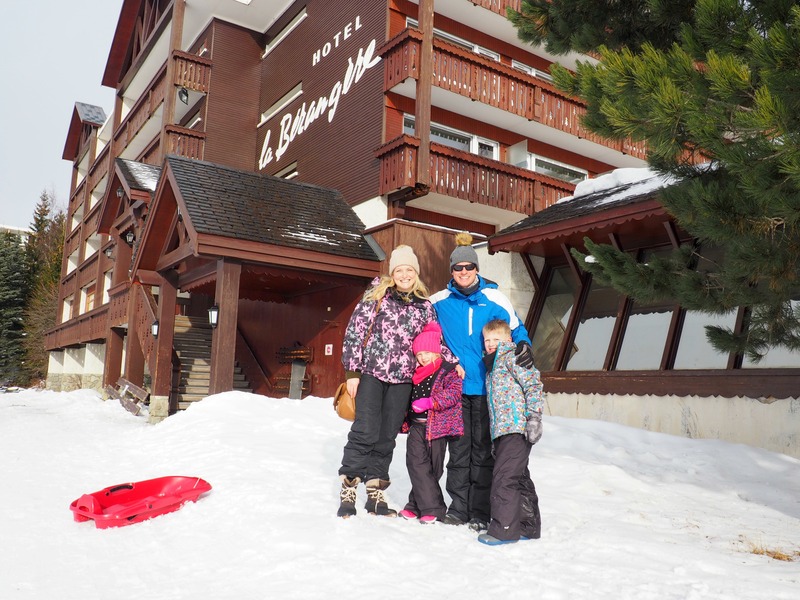 Last weekend we arrived back from what I can only describe as one of the best holidays we’ve ever had as a family- a week’s skiing in Les Deux Alpes with Mark Warner Holidays, staying at the Hotel Berangere. 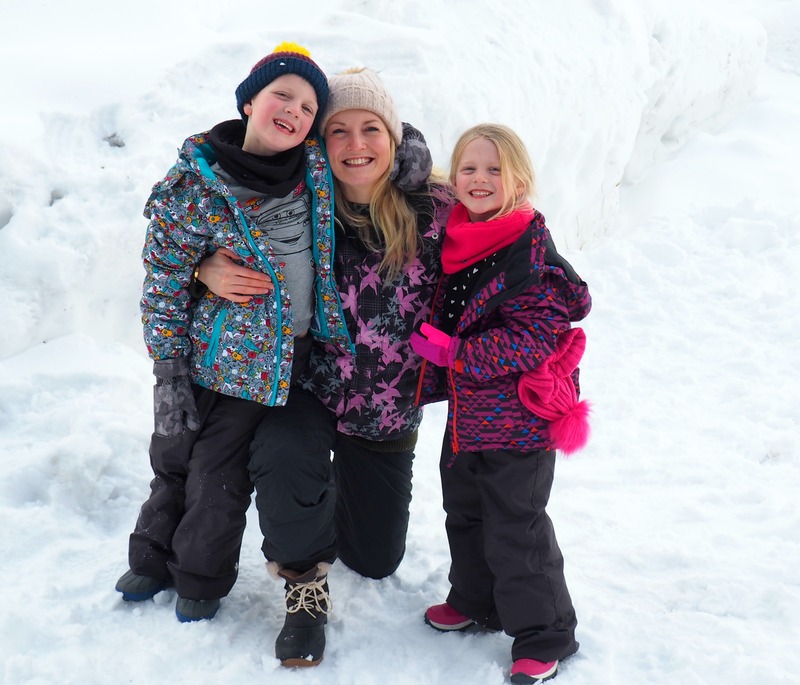 There is so much to talk about when it comes to skiing as a family (and having a baby in tow too), that I’ve decided to break our trip down into 3 blog posts- 2 about our trip in general with a vlog at the end, and 1 that specifically talks about the logistics of going skiing with young children and a baby, plus some tips for having a successful ski holiday with your little cherubs! 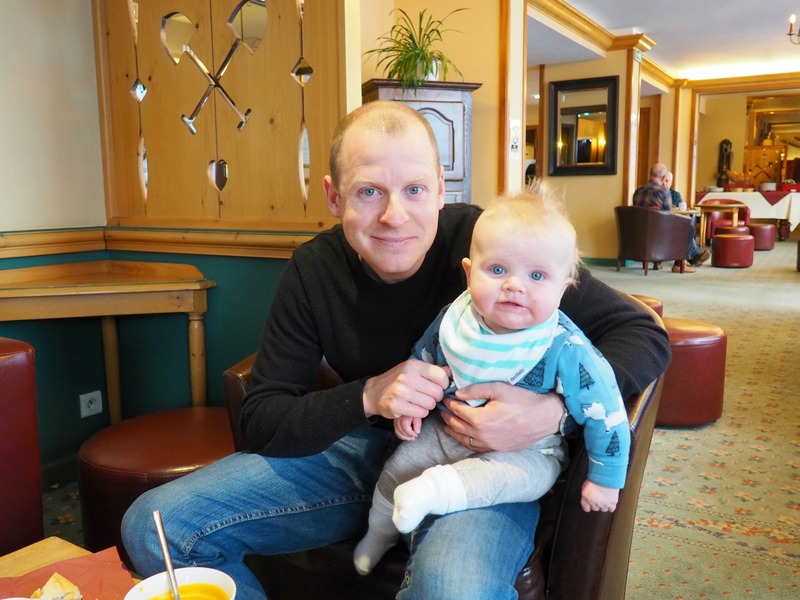 A bit of background: Adam and I have both been skiing in a previous, child-free life, and in the later years before having Freddie (nearly 7) I have boarded badly a few times although I enjoy it very much. The type of ski trips we’ve enjoyed before have ranged from school trips to both Austria and the USA as teens, boozy work ski weekends where the apres-ski has been just as significant as the actual activity on the slopes, and I’ve also experienced a rather random boarding weekend whilst visiting a close friend in South Korea. 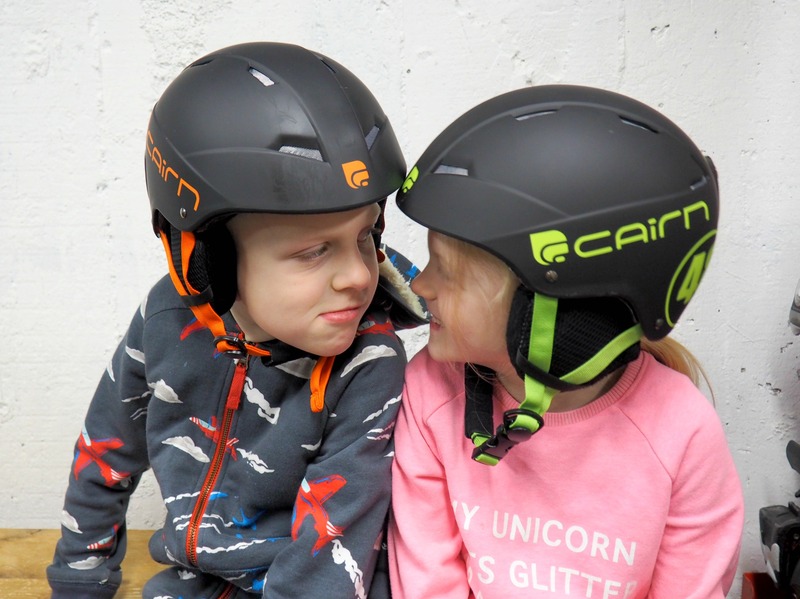 We’ve never been with any of our children before (we have Freddie, Sasha 5 years and Arlo 7 months), and this was to be the first time we’ve been on what I would call a ‘catered’ ski holiday, as we were staying half board with lots of other options available to us i.e. childcare. 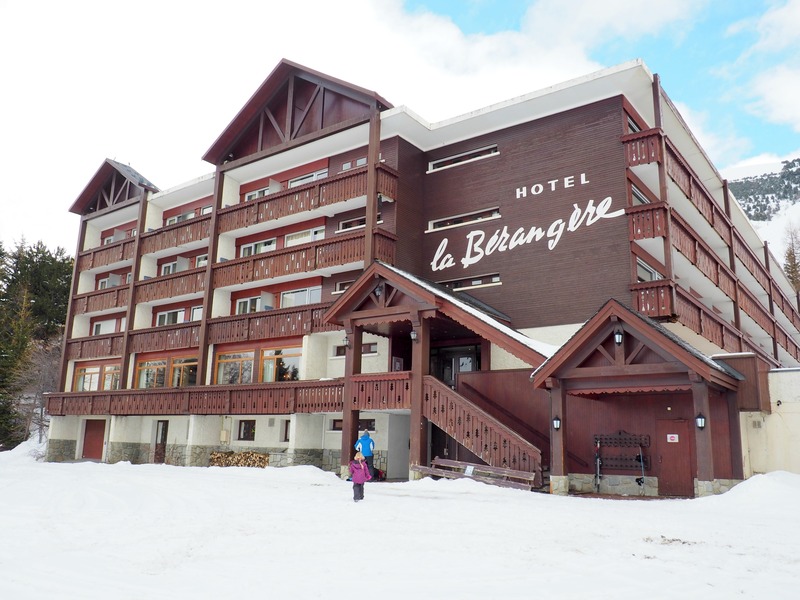 We booked to stay in the Hotel Berangere with interconnecting rooms so we could have Arlo in with us (currently NOT a good sleeper) and the children in their own room and bathroom with adjacent door, so they wouldn’t be disturbed by screeching baby in the night. BEST decision we’ve made by the way, I’ll touch on this later! 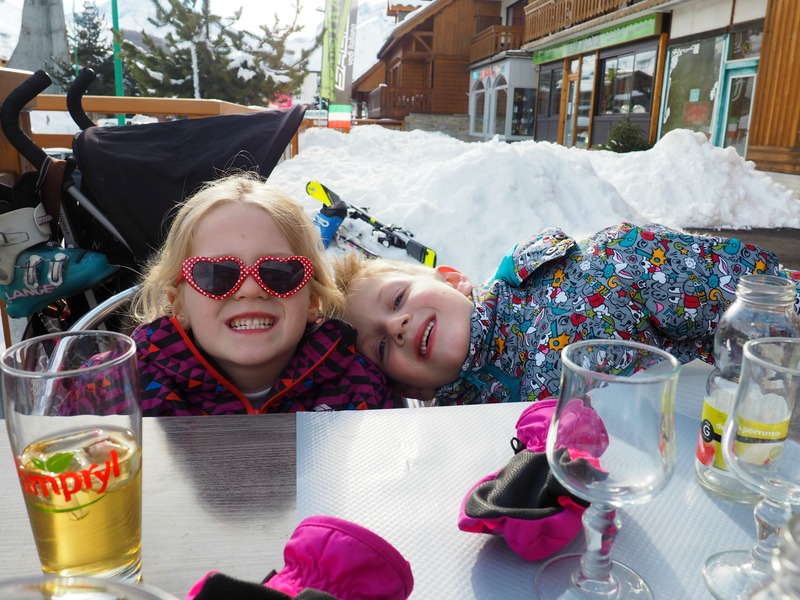 Mark Warner especially appealed to us travelling with a young family, as we’d heard excellent things about their food and service, plus the free evening childcare which we were interested in trying, having never used kids clubs before on holiday. 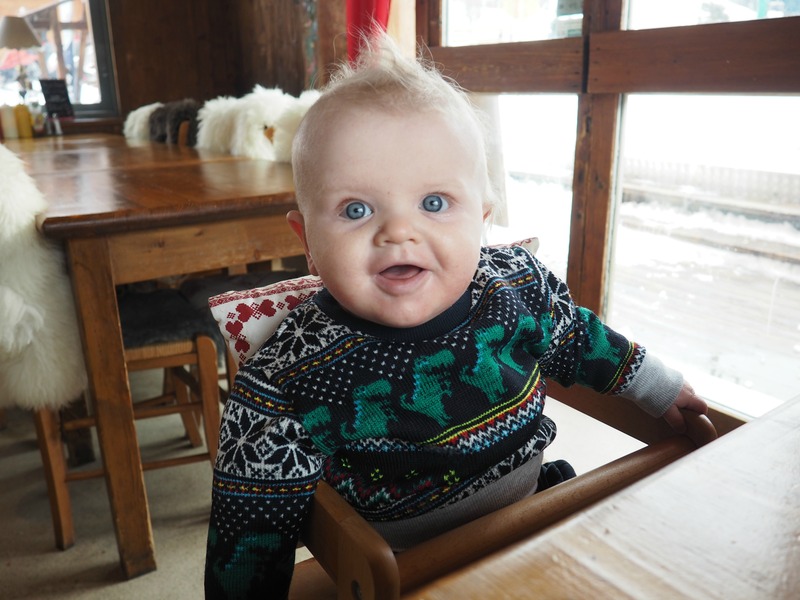 We also liked the fact that there was available childcare for Arlo if we wanted it, enabling us to have an opportunity to get out on the slopes as a couple a few times. One of the reasons we also decided to go with this particular hotel was the fact it has an indoor swimming pool (result! 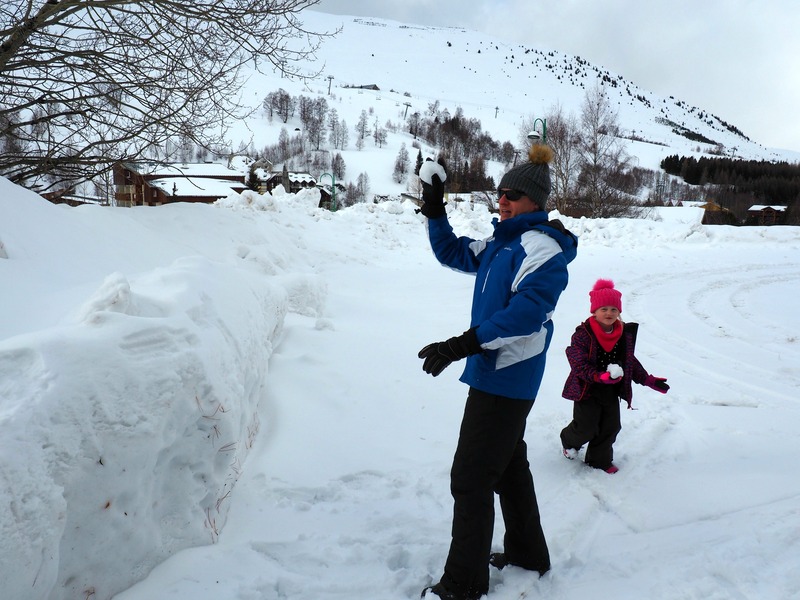 ), so we had an extra option for something to do in the afternoons if the children didn’t take to skiing (they were booked in for ski school each morning). We flew from Gatwick direct to Grenoble using BA (all flights and transfers are sorted by Mark Warner which takes the stress out of wondering how you’re going to get to the resort with all your gear and 3 small children), and then had a 1 hour 45 minute transfer via coach to Les Deux Alpes, driving through some breathtaking scenery. 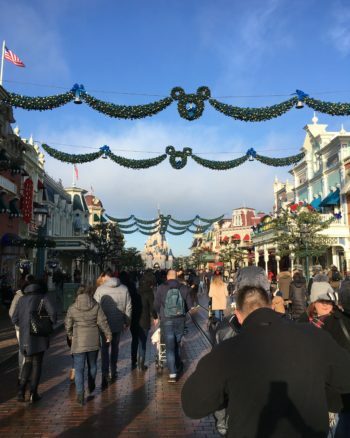 The children were all good as gold, and we had one point when all three were asleep for an hour at the same time, so the travel gods were shining down on us that day! 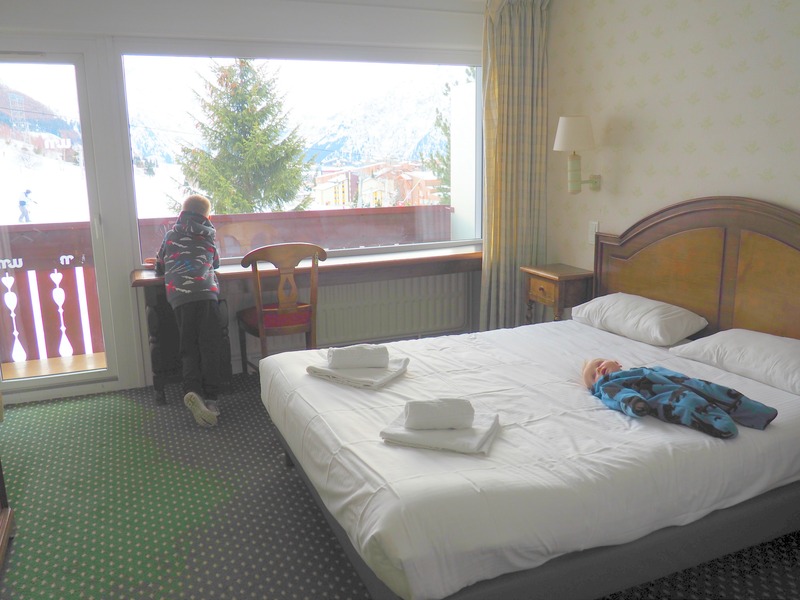 ^^Our adjoining bedrooms were great: fairly basic chalet style, but spotlessly clean and HUGE, with plenty of wardrobe space and storage, and lots of room for the big two to hang out and play. 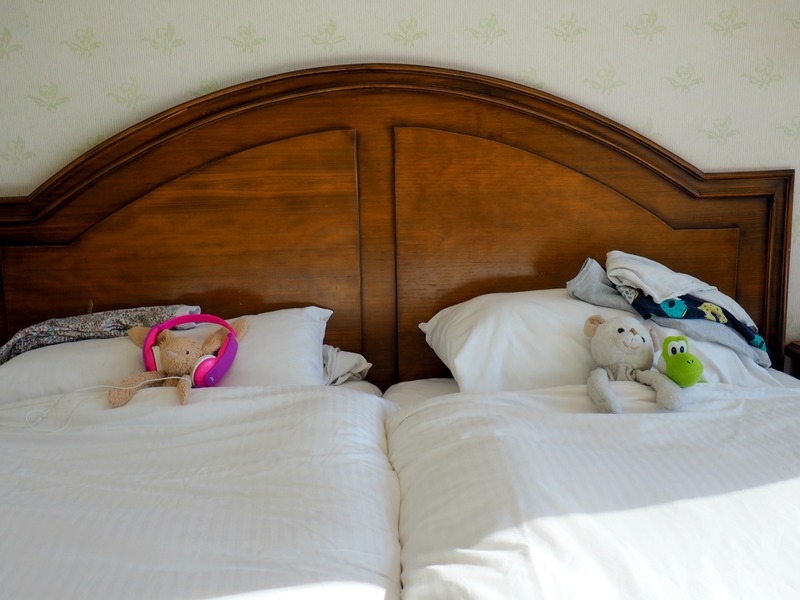 Adam and I loved the fact that the hotel staff made an effort tidying the rooms as well as cleaning, and F & S were delighted when they would come back after ski school each day, and find their cuddly toys had been tucked into bed! 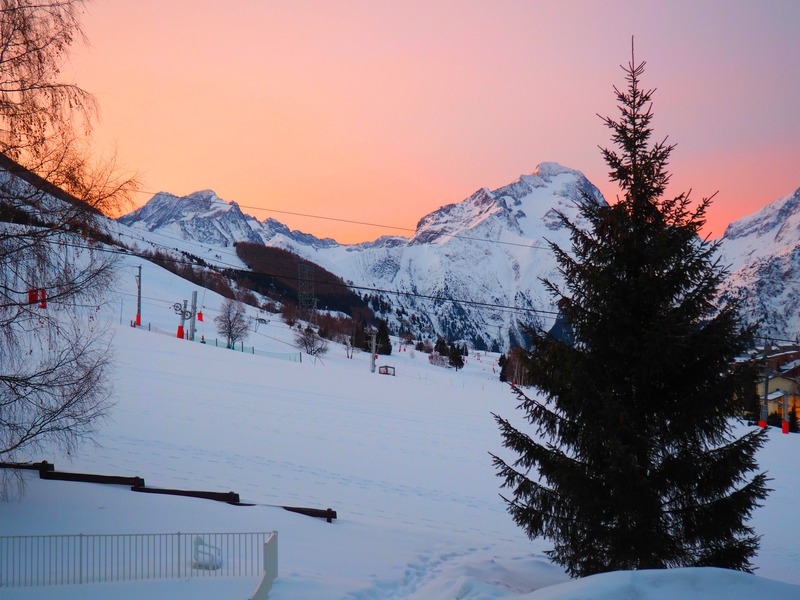 ^^This was the view from our balcony, it was absolutely stunning, and you can see how close we were to one of the slopes- you could literally ski from our hotel, down the slope and either onto a ski lift or straight to ski school. ^^ On our arrival day we headed down to the main bar area, where homemade cakes, fresh soup and tea/coffee were served every day at 4.30pm. It was such a great place to have some chill-out time, and the children also had their ‘high tea’ at 5pm every day and brought their food into here too, so we would sit with them and chat whilst they ate. I loved the fact that the kids got their own meal time (and the food was INCREDIBLE, hands down the best choice of children’s food of anywhere we have ever been, holiday, hotel or restaurant, they were spoilt for choice), and then we got to eat later. Every evening, all 3 children went into evening childcare (Arlo asleep in his own cot in childcare, big ones watching a film before snuggling into special beds in the supervised room), and it meant Adam and I got a ‘date night’ every night of the week bar one night when the hotel staff have a night off. The hotel restaurant served 3 course dinner with wine, and once again the food was delicious, with several choices of starter, main and dessert each night. 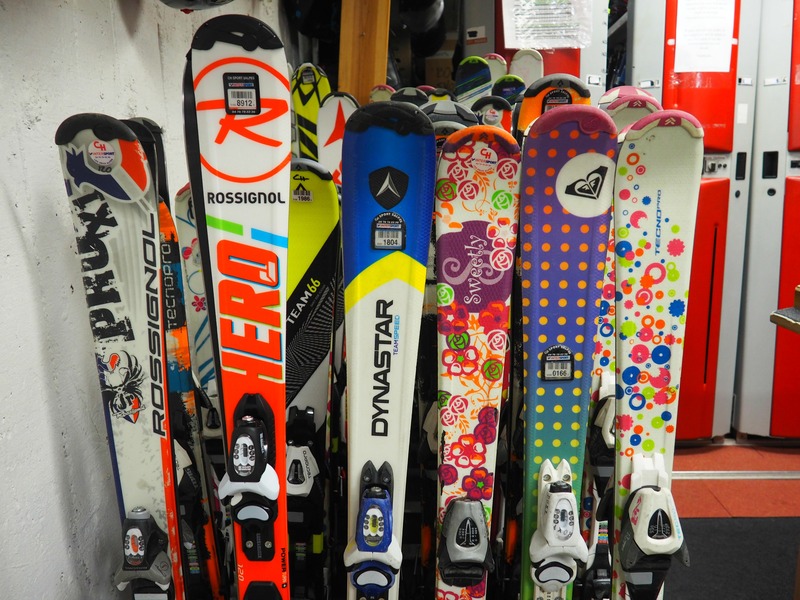 ^^Once we had unpacked, I took Freddie and Sasha down to the basement of the hotel to be fitted out with their skis, boots and helmets. 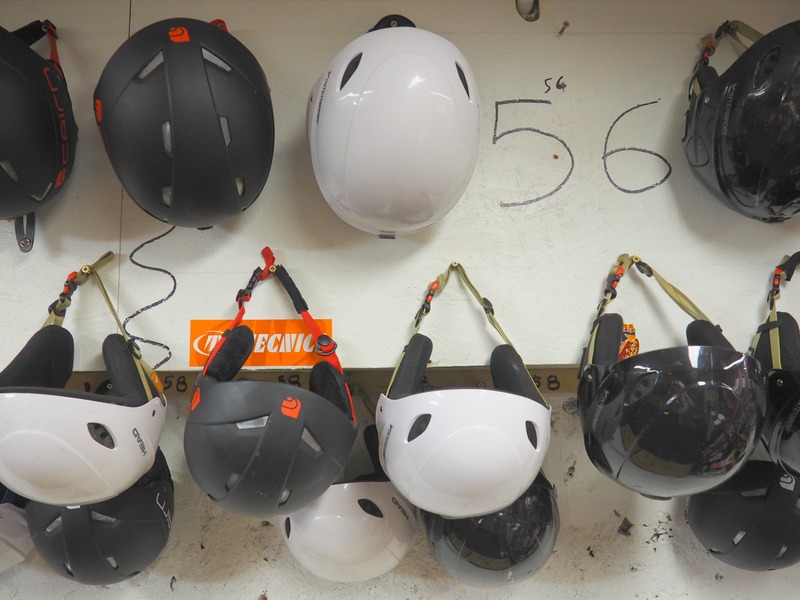 It was great to have everything on site (the ski company comes once a week on transfer day to sort everyone out), and not have to trek to a shop in the town after a long day travelling. 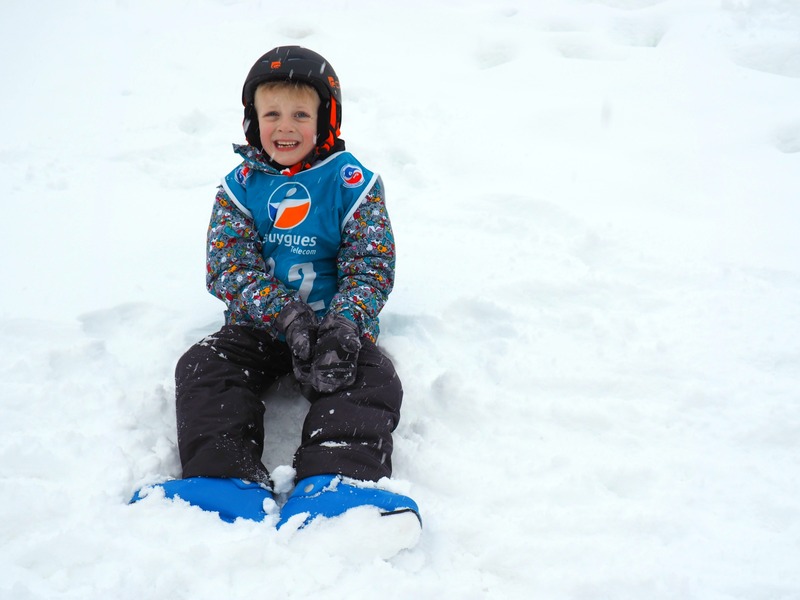 Adam and I did go to a local shop a few days later to get our own gear, as we wanted to settle the children into ski school, and Arlo into childcare first, but that wasn’t any hassle as by that point we didn’t have any of the kids with us. ^^Our lovely hotel! The staff were so friendly, and couldn’t do enough for you, we really got to know many of them over the course of the week, and they were all great with the children. 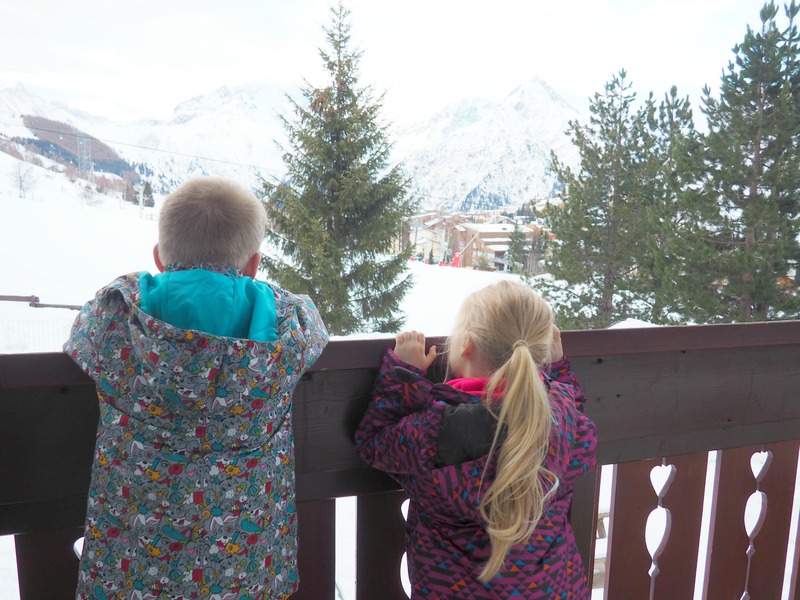 ^^On our first proper day in Les Deux Alpes, Freddie and Sasha went off to ski school. They were being taught by instructors from ESF, all organised by Mark Warner when we booked. 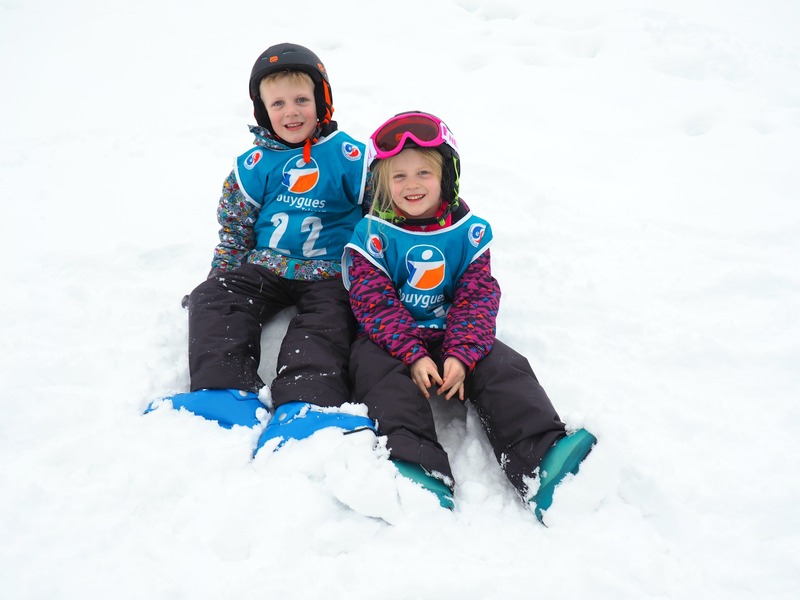 All instructors teaching English children have a great level of English so communication isn’t a problem (something our two were interestingly quite concerned about, they weren’t nervous about the actual skiing initially!). Freddie and Sasha’s instructor was called Laurent, and they spent the first couple of mornings getting to grips with going down small slopes, turning and stopping. 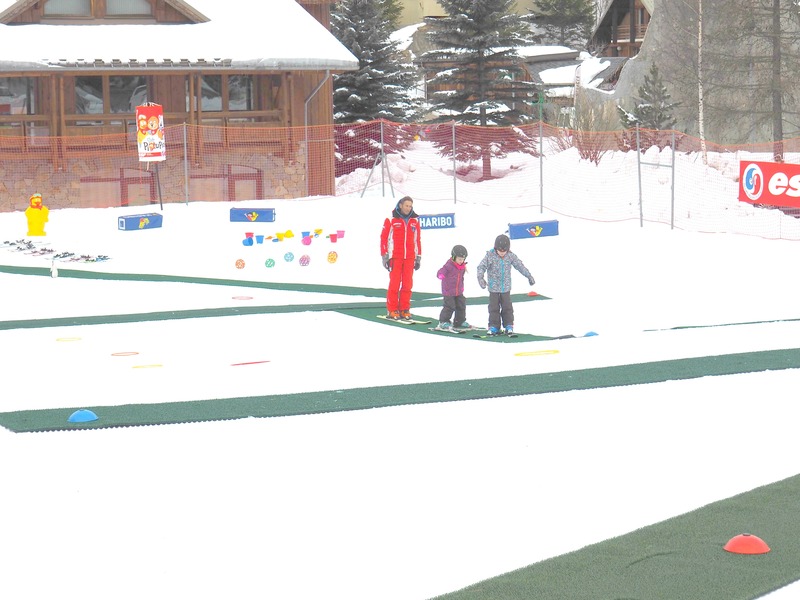 ^^On these little nursery slopes that roll out artifical grass/carpet so that the children can start from various levels on the slopes, and it also makes it easier for them to walk up again (although they also had use of a ‘magic carpet’ conveyor belt thing too). Adam and I were convinced it would be Freddie who would struggle more than Sasha learning to ski as he hadn’t been as confident balance-wise when it came to riding his bike, but actually he took to skiing straight away and it was Sasha who fell over a few times and became a little nervous. 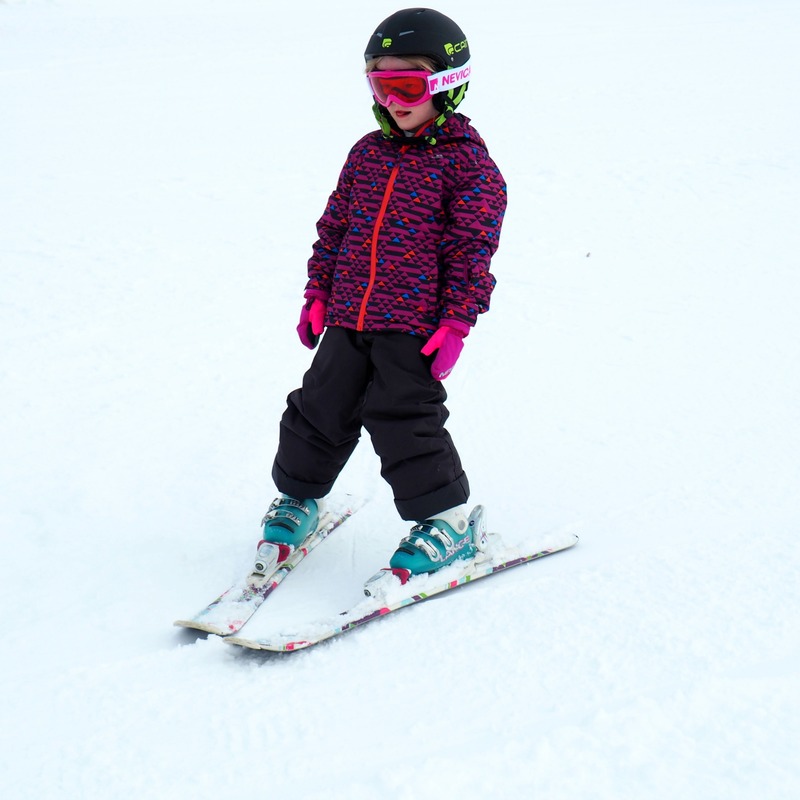 ^^For the first couple of days there were a few tears from S before her lesson, but once she got going she was fine, and by the end of the week she was the one who wanted to ski all the time. 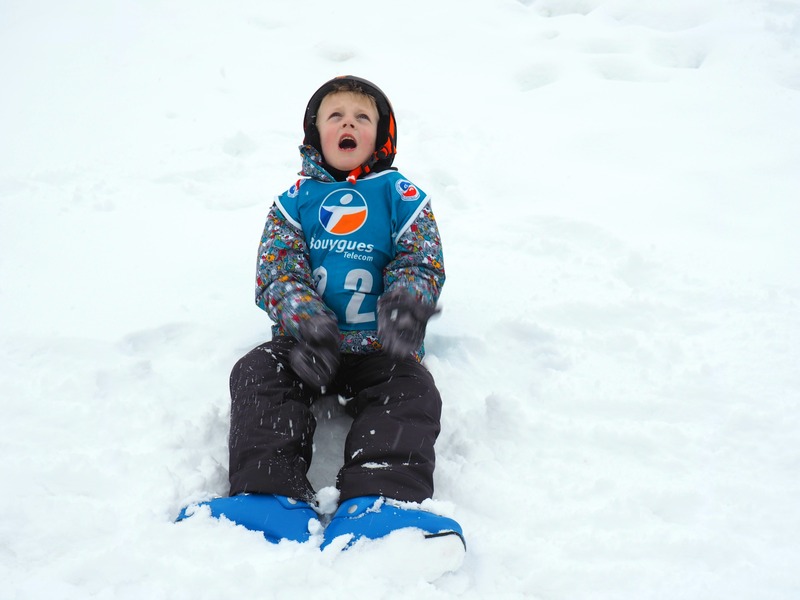 I think if you reassure your child that it’s ok to fall over and that it probably will happen but doesn’t matter, then it definitely helps with keeping them wanting to ski. 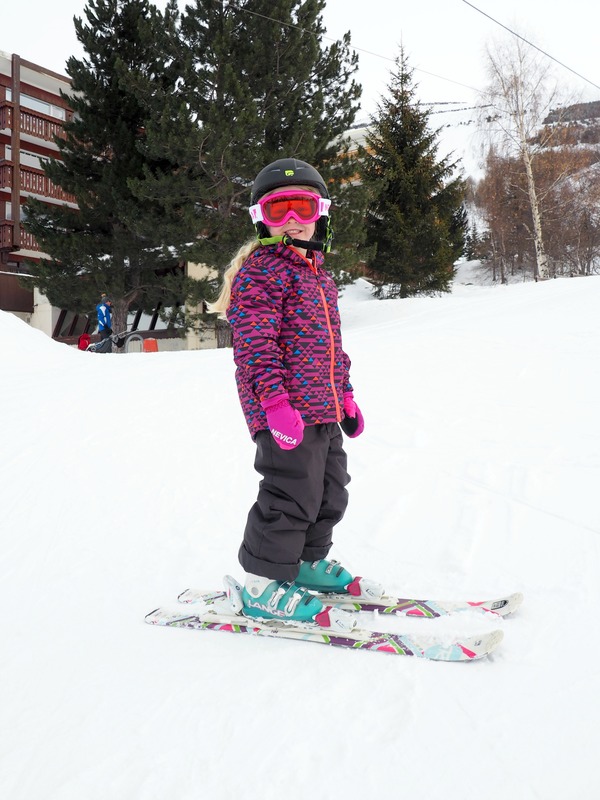 Personally, at 5 and 6, I think a morning of ski school (9.30 – 12) was also long enough, so I’m glad we didn’t book them in for a full day, as they were shattered after each lesson and ready for lunch! 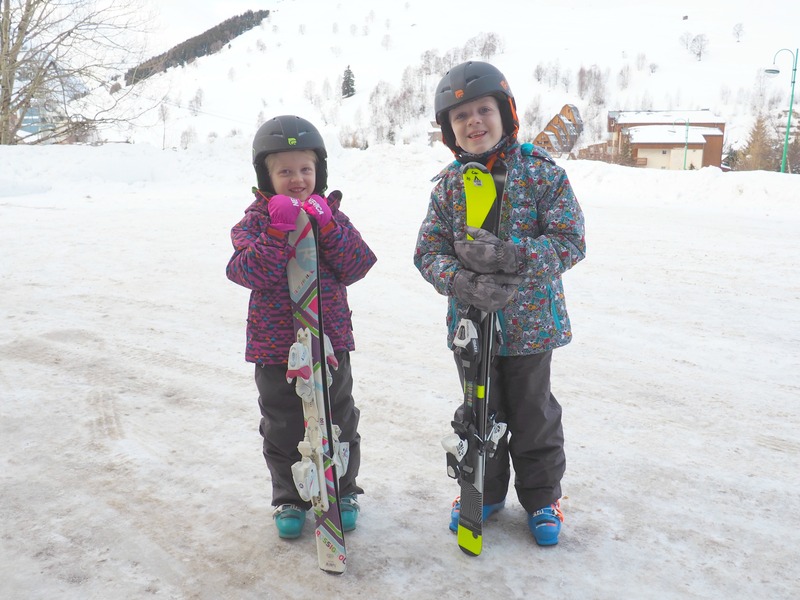 ^^By the end of the week, both children were loving it, and were going up the drag lifts confidently by themselves which is no mean feat- I have memories of being a teenager using these on a first ski trip and it all going horribly wrong! We were so proud of our little ones for trying so hard and doing so well. 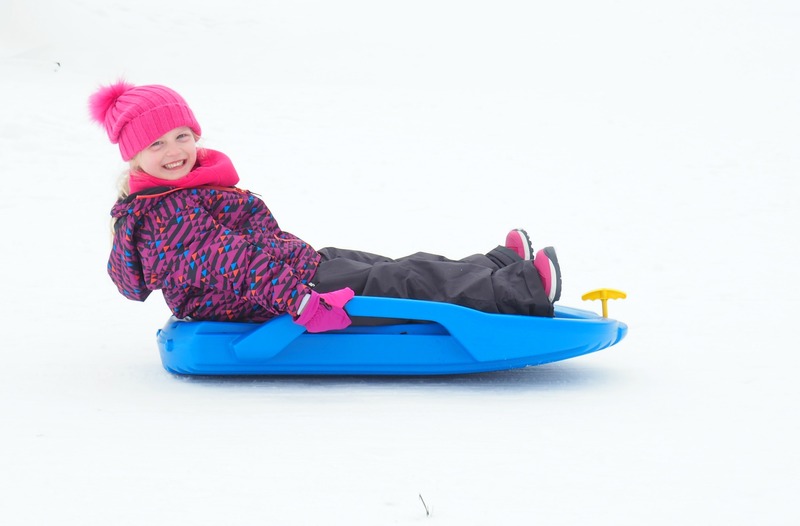 I’m convinced that trying as many new things as possible is great for a child’s confidence long-term, and all the fresh air and exercise did them the world of good. 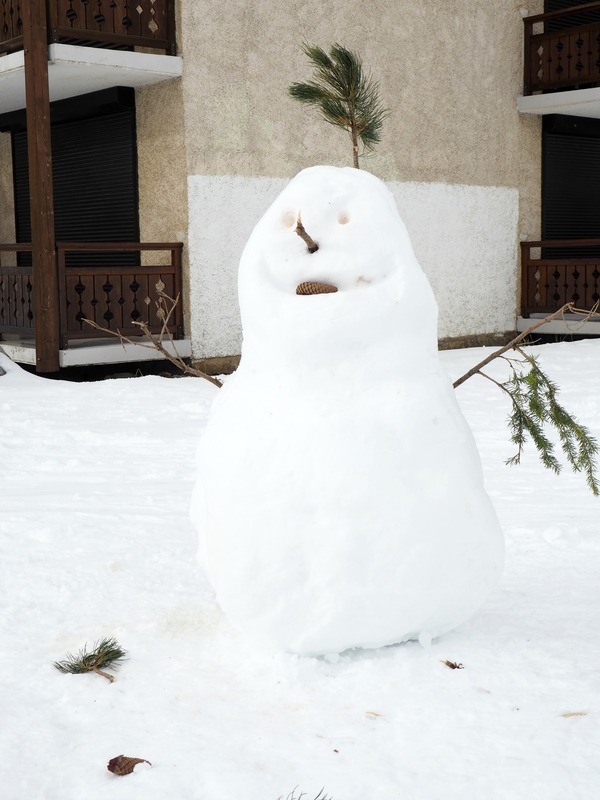 ^^This little guy came along for the ride for the first few mornings whilst we watched the kids at ski school (a very English thing to do apparently, not a French parent in sight! ), and it tied in well with his morning nap. 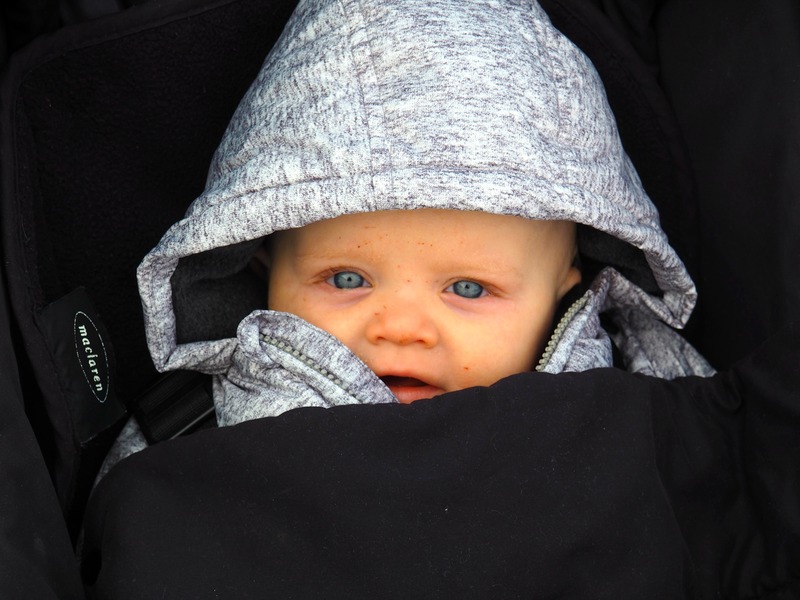 You think a baby would be too cold, but actually he was absolutely fine all bundled up in layers, a snow suit and a decent footmuff. ^^Once the heavy snow came though on day 3, we decided to ditch the buggy and hire one of these bad boys for about 25 euros for the rest of the week- the only way for any self-respecting alpine baby to get around! If you’re going to bring a baby or toddler with you, you NEED one of these. 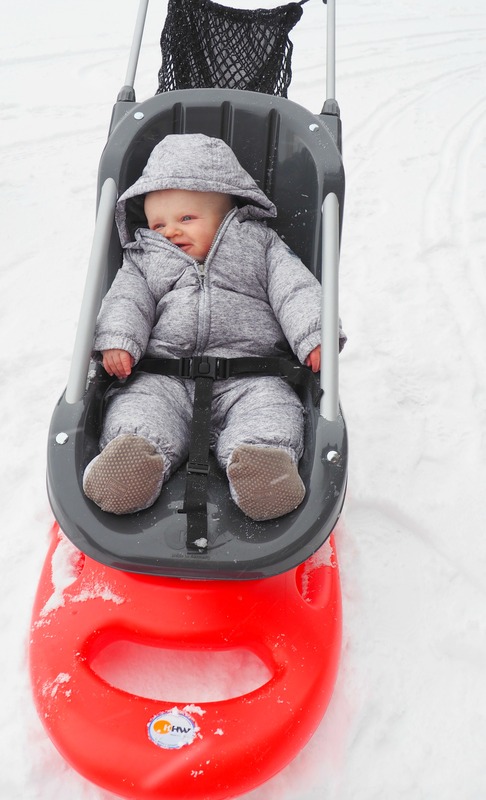 Again, I’ll touch on this more in my upcoming post about going skiing with a baby. ^^After filling our boots at breakfast each day (again, amazing choice in our hotel), we only had to fend for ourselves at lunchtimes. 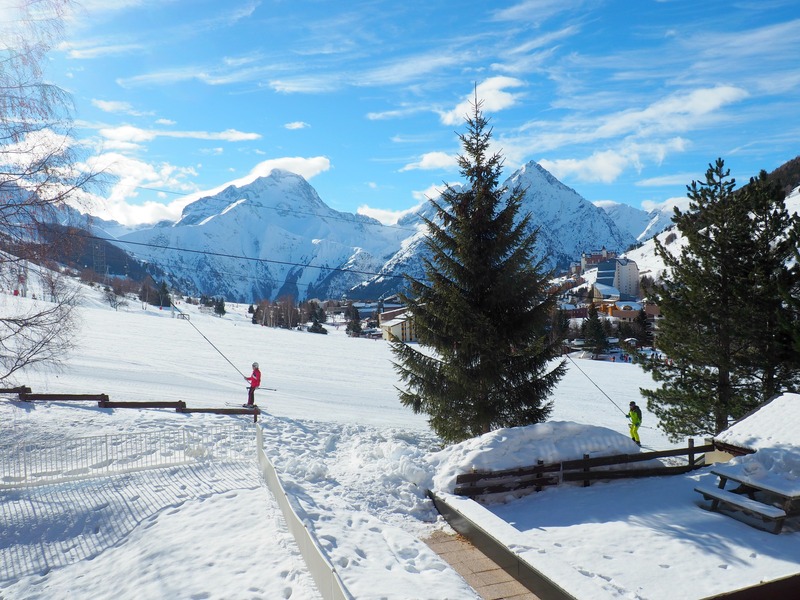 Fortunately, Les Deux Alpes is a buzzy place, and there are plenty of cafe and restaurant options. 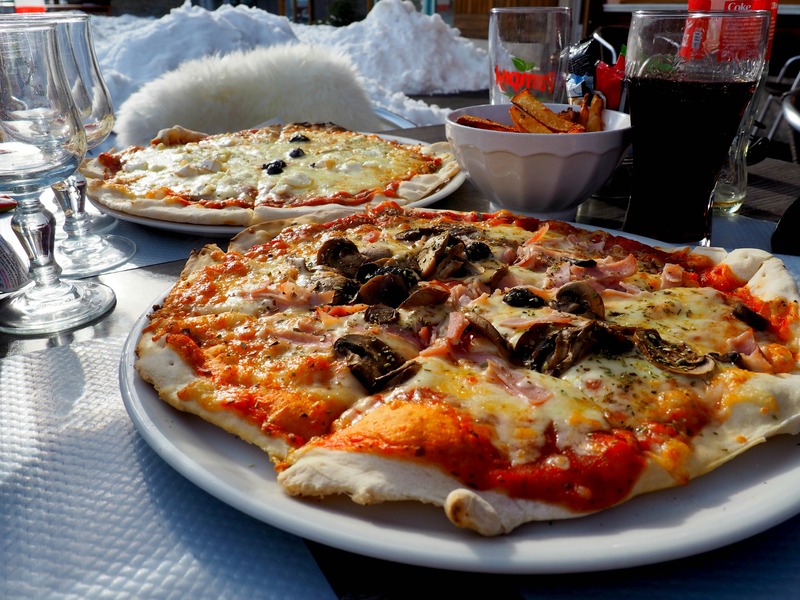 I don’t know if it’s because the resort isn’t actually that far in the grand scheme of things from the Italian border, but we came across a few places where the pizza was just delicious, so that was often a great, shared lunch choice. 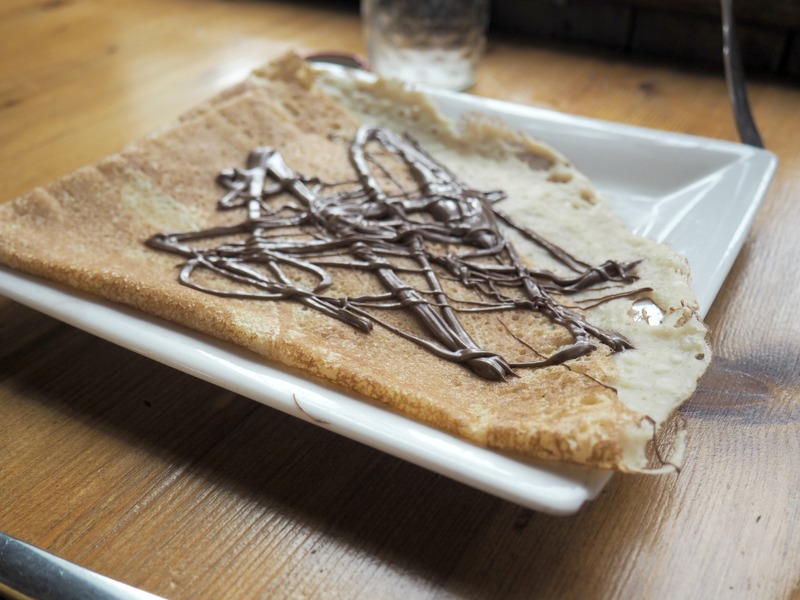 Oh, and Nutella pancakes also featured heavily throughout the week! 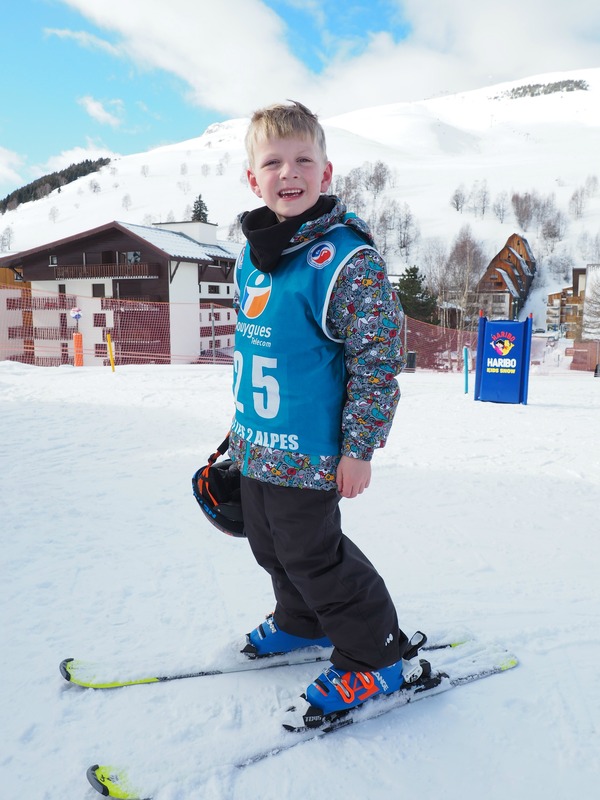 ^^This little guy has convinced us that you CAN travel (and even ski!) with a baby. 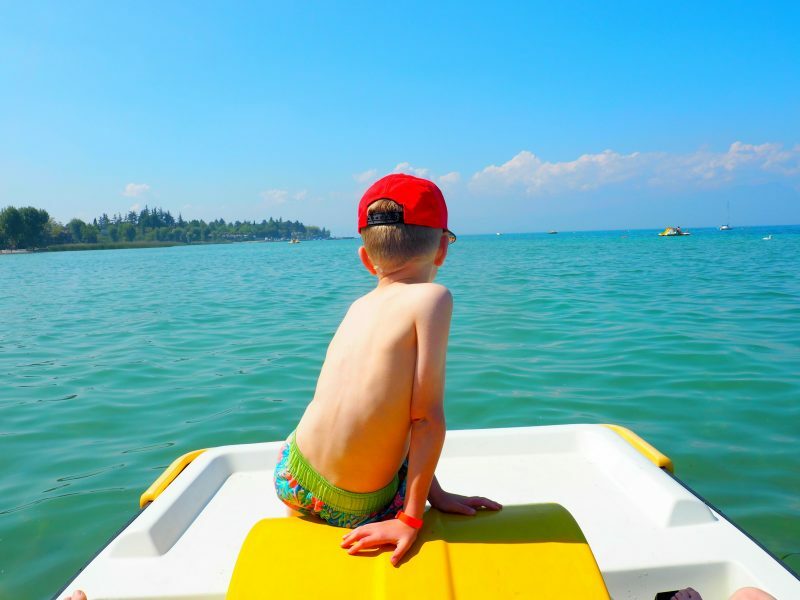 We’re lucky he’s very laid back, but also going on a holiday where you’re looked after so well and the hotel staff can’t do enough for you and your children, meant we actually returned home feeling like we’d had a holiday- not always easy with three kids. 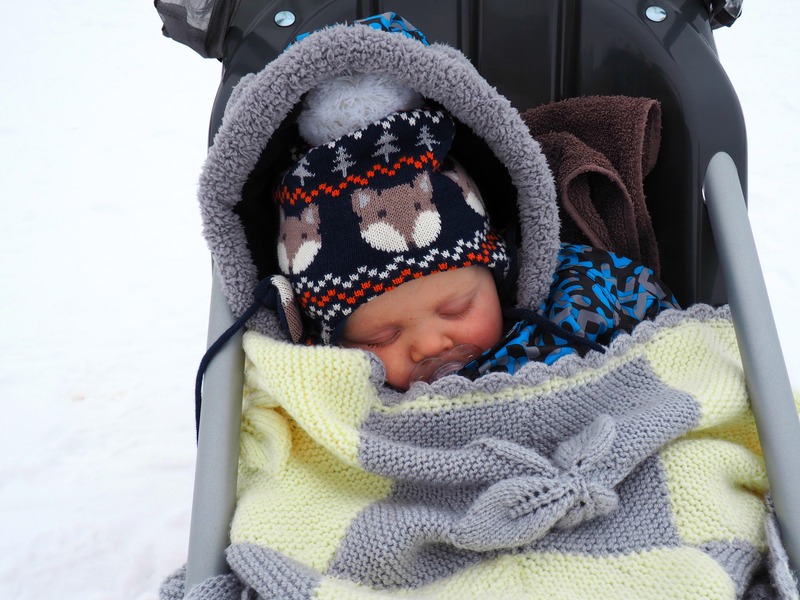 ^^Often after lunch each day we played in the snow whilst Arlo slept cosily in his snow buggy, and I really enjoyed spending quality time with the big two. 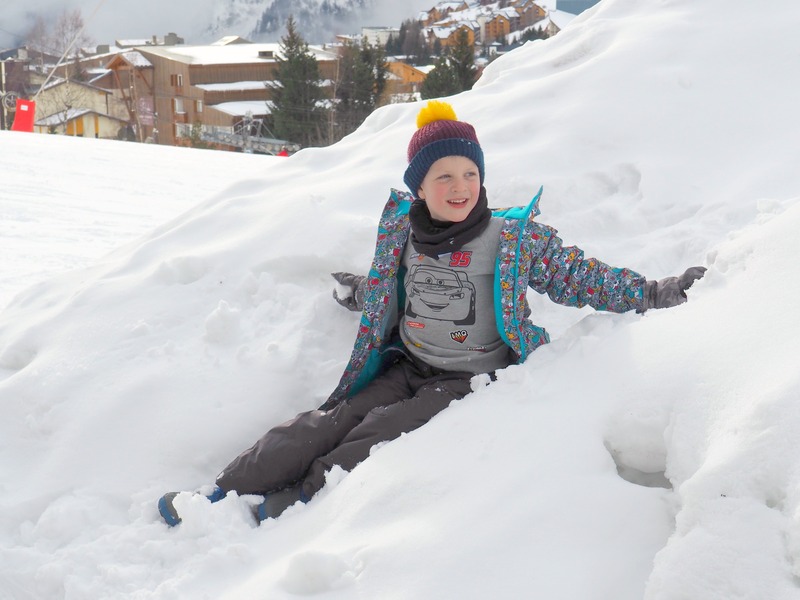 They’re still at an age where snow is a HUGE novelty (there’s not often much of it in SE London), and they really couldn’t get enough of it…. 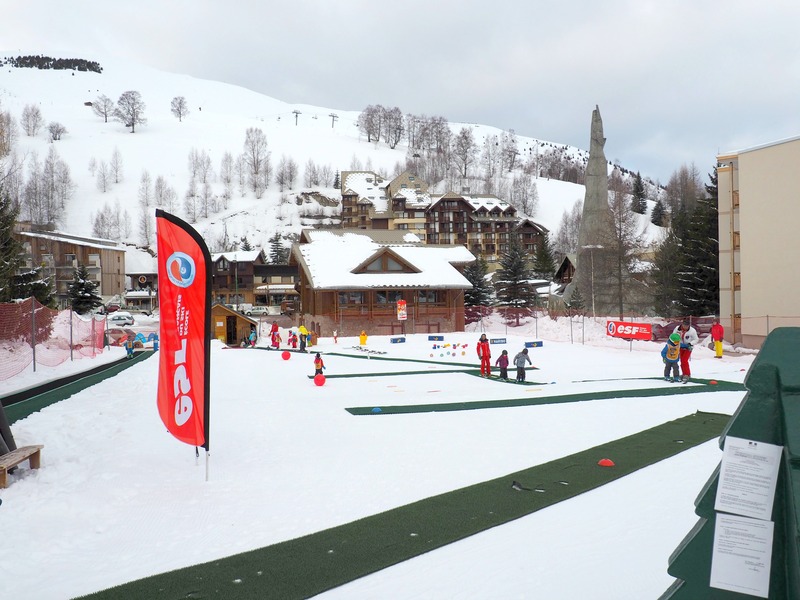 So there’s my first post all about our holiday skiing to Les Deux Alpes with Mark Warner. 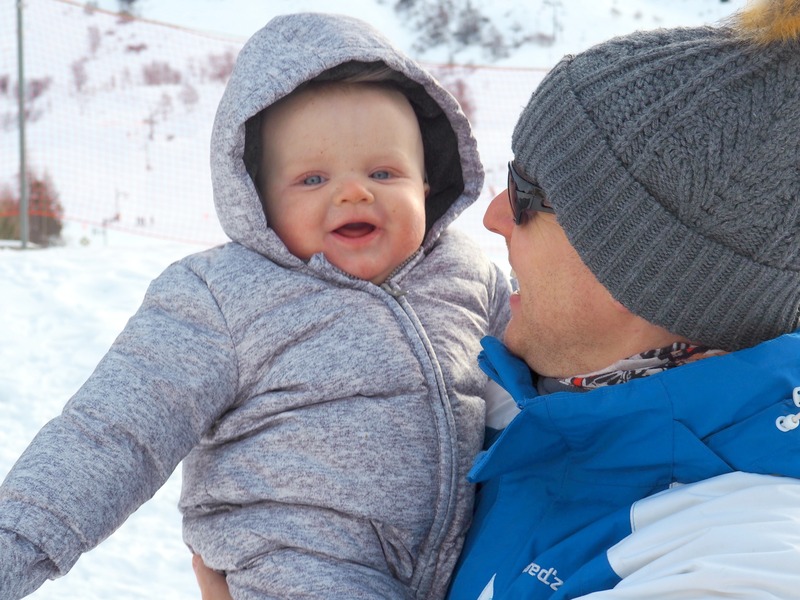 In my next post I’ll be talking about sledging, Adam and I getting on the slopes, heading up the mountain, and baby Arlo enjoying himself in childcare. 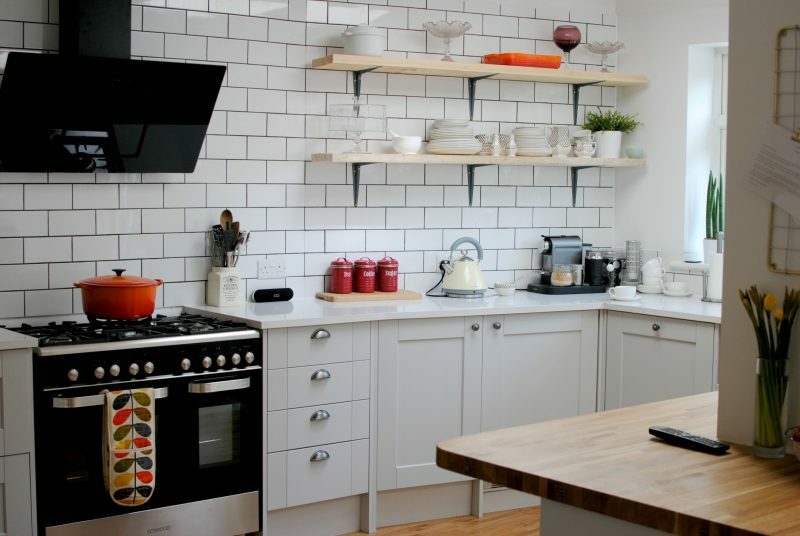 *We were working with Mark Warner and received a discount on our holiday in exchange for an honest review or our experience, all words and opinions my own. Have a look at some of our other travel adventures HERE.